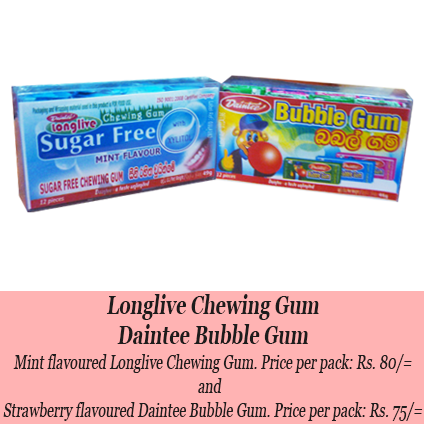 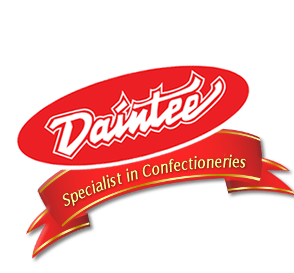 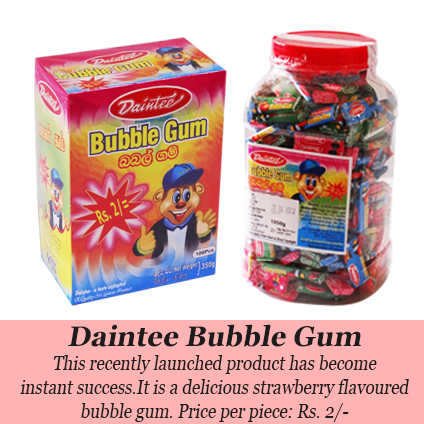 Daintee Bubble Gum is a classic bubble gum with a delcious strawberry flavour. 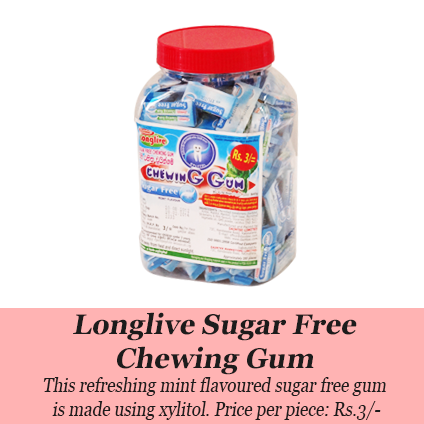 Longlive Chewing Gum is a Sugar Free mint gum. 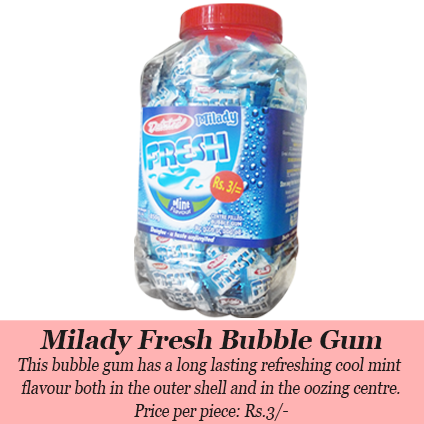 The newly launched Milady Fresh is a liquid filled bubble gum with a refreshing cool mint flavour.